Anatolian pop and rock are now considered mainstream contemporary music in Turkey. Many people think that the genre emerged in the 1970s with a political protest mindset. It is true that the word Anatolian pop was dubbed by the group Moğollar in the same decade but the genre itself older than Moğollar and similar folk rock or psychedelic bands of the 1970s. Indeed, the roots of Anatolian rock go back to the Turkish light music and/or Western music with Turkish lyrics. In the 1930s, the single-party Republican regime supported European classical music over Turkish music. Music education in schools still follows Western classical instruction, though Western classical music has a small audience in Turkey. The 1950s were the golden years of the Western music with Turkish lyrics. Many musicians were inclined to make new arrangements featuring Turkish melodies within a Western framework. This was welcomed by the young people coming from the upper classes of urban areas like Ankara and Istanbul. In the late 1950s, some young musicians of that generation began to make their move. They felt free to make innovations and interpretations of various genres including Western classical, rock and roll, funk, blues and Turkish folk and classical music. Tülay German (r) with friends at her house in Paris. Among the innovators of the Western-Turkish music blend, Tülay German was the first female contributor to gain nationwide fame. Unfortunately, she left Turkey for political reasons in the late 60s and has lived in Paris since. Tülay German was born in 1935 in Istanbul. She was the only child a civil servant and a housewife. She began singing at age four. When she was in elementary school, she sang Schubert's "Serenade" and "Abends unter der linde" for Ankara Radio. Belkıs Aran, a famous soprano of that time, took her to a German music teacher living in Ankara, who agreed that she had a unique vocal talent. German began taking piano lessons from Ferdi Statser. However, the German family did not want their daughter to become a singer. They insisted on her continuing her education at prominent colleges. She first went to the elementary section of the Turkish Education Association (TED) Ankara College, where she fell in love with Oktay Sinanoğlu, who would become a prominent scientist. Sinanoğlu was the elder brother of Esin Afşar, who would also become another prominent singer of Western music with Turkish lyrics in the 1950s. After elementary school, German was sent to Istanbul to attend Üsküdar American College, from where she graduated in 1956. German sang at Süreyya Gazinosu, a famous nightclub in Ankara, without the consent of her parents. She sang songs in English and Spanish. Although her father did not allow it, she would leave home for the nightclub after her father went to bed. She was spotted by a friend of her father at the nightclub, and her father sent her to Istanbul at once. In addition to those secret performances, she also sang for Istanbul Radio. She was the first female Turkish singer to perform in the "Melody Qarawan" program produced by Hulki Saner. 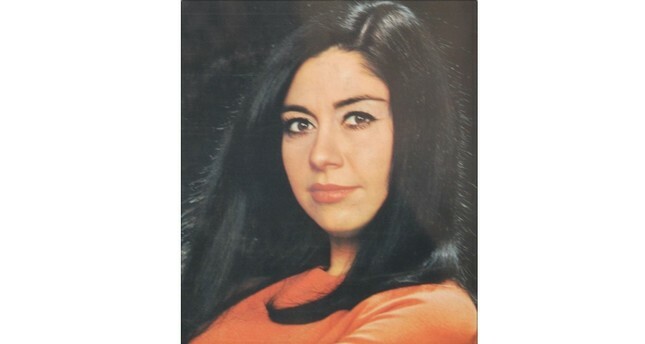 She also sang with the Salim Ağırbaşlı Quintet for the same radio channel. In 1962, she met Erdem Buri, a composer. The two began producing a radio show together for Istanbul Radio, "Polyphonic Turkish Music." This phrase shows German and Buri's approach to the Western-Turkish musical combination. They sought to innovate by arranging Turkish folk lyrics and melodies within a polyphonic Western structure. Buri and German also fell in love and began living together. Buri introduced her to the leftist intellectual circle in Istanbul. Such prolific personalities as Kemal Tahir, Yaşar Kemal, Orhan Kemal - the "three Kemals," three of the most important Turkish novelists - Metin Erksan and Atıf Yılmaz, prominent filmmakers, and many musicians. Buri asked German why she did not sing Turkish music. So, German decided to learn about Turkish folk music. Although she was a well-trained and experienced jazz singer, she did not know much about folk music. She took private lessons from Ruhi Su, the giant of the Turkish folk opera, and some folk bards. German's first hit, "Burçak Tarlası" (Vetch Field), it still widely known. The song is significant for three reasons. First, it was a good combination of Western classical, pop and Turkish folk sounds. Second, the lyrics of the song implied socialist political opposition. Third, it gave courage to many young artists to make their own sound innovations to feature Turkish folk tunes, and thus Turkish psychedelic folk rock emerged. It was also the first pop song to use bağlama, the local folk lute. In 1966, Buri faced a conviction from the court concerning a book translation he had done with Selahattin Hilav. The public prosecutor asked for a 15-year sentence in prison for both. Buri chose to flee. So, he and her partner German left Turkey immediately. German has lived in Paris since. German continued her music career in France, singing in French as well as Turkish. She recorded jazz and folk singles and albums. She sang some of Nazım Hikmet's poems in 1987, which was her last album work. After Buri died in 1993, German retired from public life. She has written a book titled, "Erdemli Yıllar" (Years with Erdem), implying the "wisdom" meaning of the Turkish word "erdem."